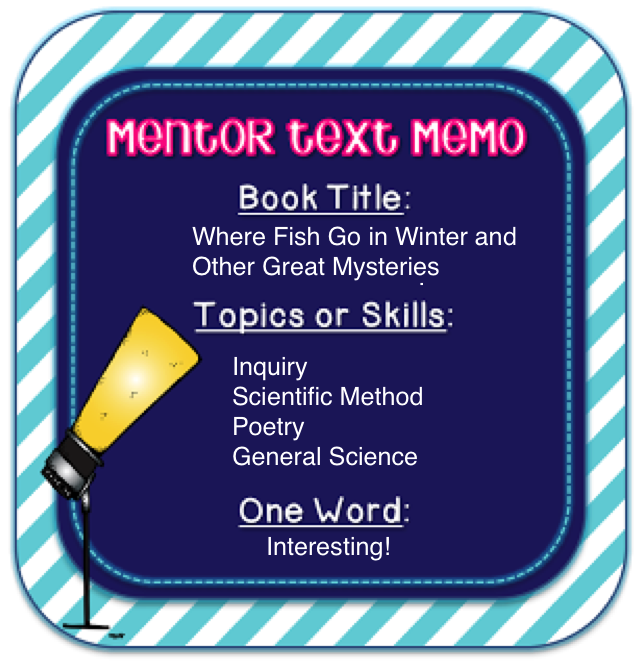 I am linking up with Collaboration Cuties for their mentor text linky. I love science and mentor texts, so when the two come together it's like Christmas come early! 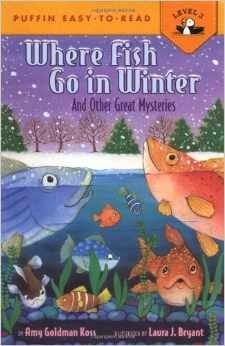 I am linking up the book Where Fish Go in Winter. It's a Puffin easy-to-read book, but can be used for any age! I was introduced to this book during a grad school elementary science course. It takes questions about everyday life and answers them scientifically through poetry. Since April is poetry month this book does double duty! The poem answers questions about the man in the moon, why onions make you cry, why cats purr, etc. I don't have pictures of how I use this book in class, but I can tell you about it. I do not read this book in one sitting, rather I usually use it to introduce a topic that we will study. I have the students open their science notebooks and copy the title of the poem (which is a question). Then I have them hypothesize the answer to the question. We read the poem aloud and then discuss what the actual answer to the question is. The students copy the answers into their notebooks. It's a great starting point for discussion and I have also used it for morning work. How cute! I've never heard of this book! It sounds fun! I love that you use the poems to start your units. Great idea! 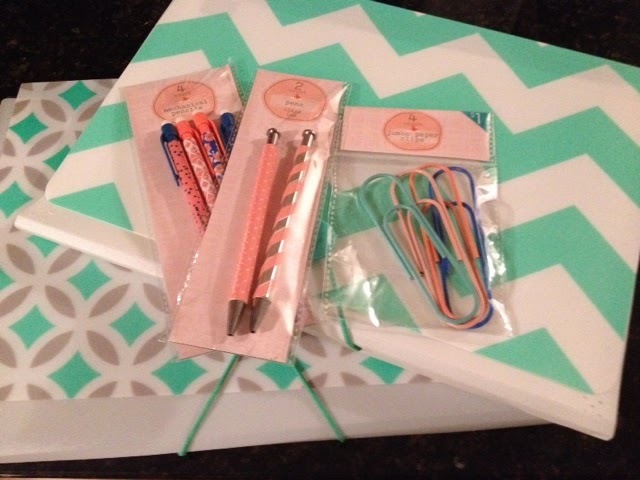 And you definitely scored in the Target dollar section. There's never anything in ours! Thanks for linking up! It's a great little book to have on hand! My Target has the best dollar section. I usually try to steer clear from it because I always end up spending so much there, but this time I just couldn't resist! Thanks for stopping by!